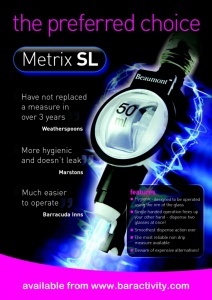 Beaumont's Metrix SL Bar Optic is a premium quality spirit dispenser that is widely used in UK pubs and bars. 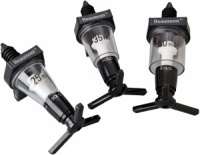 The Metrix SL optic spirit measure is available in 25ml, 35ml and 50ml volumes. Its push back lever allows single hand operation so you can pour two drinks at once! 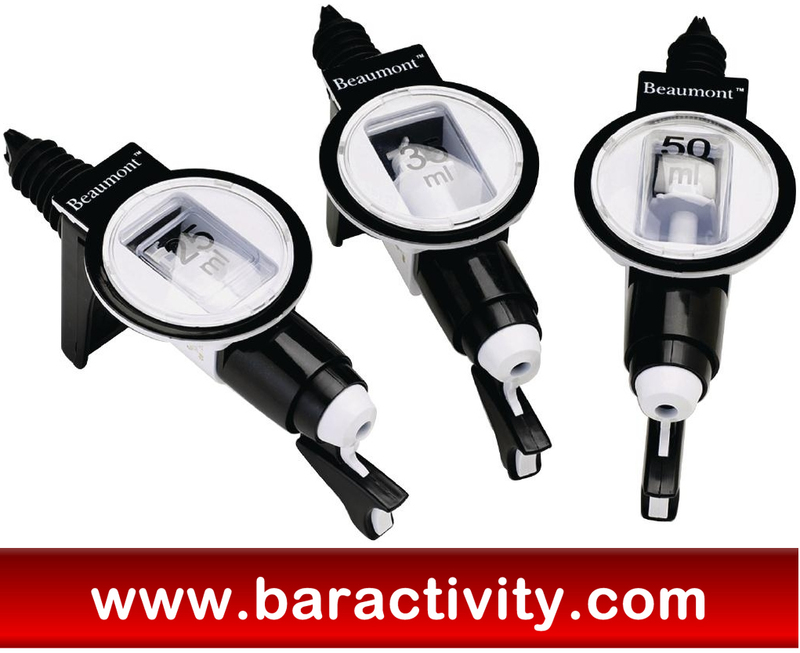 These optics are government stamped for use in the UK with the prescribed spirits – whisky, gin, vodka and rum - and are suitable for both commercial establishments (pubs, restaurants, etc.) and home use. To operate the Metrix SL spirit measure, simply place the optic into your bottle using the correct size optic cork and push back against the lever with the rim of your glass. 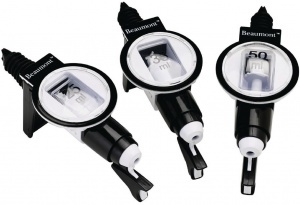 The Metrix SL Optic Spirit Measure by Beaumont features an easy action, push back mechanism so the glass must be position against the lever and pushed back to activate the pour. 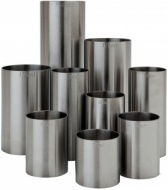 Wholesale and bulk buy discounts may be available on these optics subject to your required quantity. Please call us to enquire.